In September 2013, it was suggested that I take on the project of editing a book for Zenkei Blanche Hartman. I was both honored and overwhelmed. How would we work together given she was mostly healing from her first fall at the time? Would I choose the correct talks? Would her other students who knew her much longer feel slighted by this effort? How was I going to complete my own book in the making? Then, I remembered one of Suzuki Roshi’s teachings– just say yes. So, I did. Upon listening to Zenkei’s talk I was eased and all the questions in my head fell away. I was able to enter into her voice and her heart. I would sit down with tea and a pen at my kitchen table. I would imagine Zenkei sitting next to me listening to herself, seeing if she were articulating exactly what she wanted to say. Sometimes I would talk back, which indicated a talk that would encourage reflection and inquiry. Many times I cried in the middle of her talks because it was just what I needed to hear at the time. I began to see exactly how she infused her teachings without a lot of words. Funny, we would be collaborating on a book filled with words. In short, as the baby of her heirs having been given permission for dharma transmission this year, it was a profound project. Recently, at the end of a private ceremony between us I bowed deeply and long. 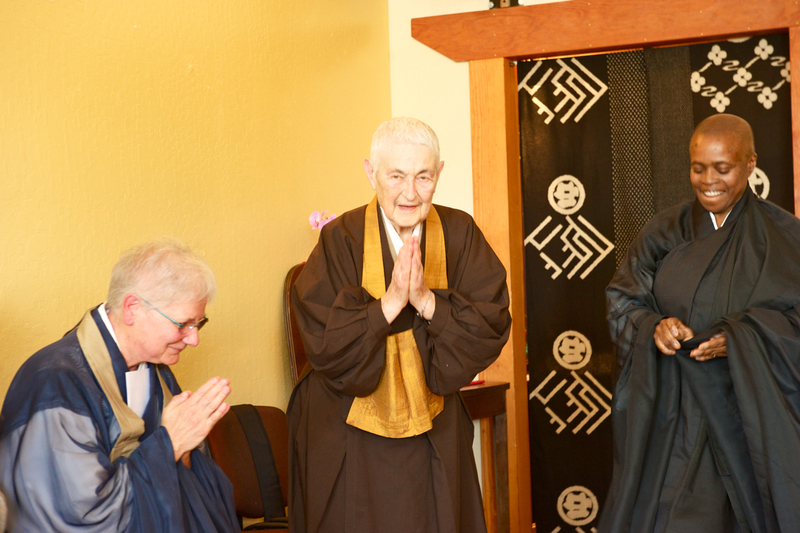 It was not so much about dharma transmission as I felt to be honoring her life, her teachings, and expressing my deep gratitude for her seeing me and for her fearless embrace. During my training as Shuso (head student) at San Francisco Zen Center, Zenkei was showing me how to offer incense in the Buddha Hall. I watched Zenkei closely as she walked up to the Buddha statue, held the incense up towards Buddha. Next her lips began to move but I could not hear the words. What was she saying? Later she informed me that there is a chant that one’s says when offering incense but that the chant had gotten lost in the growing development of the temple over the years. I asked her to repeat the chant out loud. I tried desperately to remember it so that it could be written down and preserved. I promptly forgot but later asked her to say the chant again and again. Perfuming the seeing of the tranquil world. I knew Zenkei Blanche Hartman as a teacher who has dropped many gems into the pockets of others during her years. Her upcoming book, Seeds for a Boundless Life: Zen Teachings from the Heart (Shambhala Publications, 2015) is just that–a gem. This book is an offering of teachings by Zenkei Blanche Hartman that can lead one to exploring a path of true liberation. She admonishes from the path that when we let go of our habits, old thoughts, and patterns we are relieved of the suffering these things can bring into our every day lives. She goes further to say when we walk without an image of who we “think” we are, we are less likely to encounter suffering. We are more likely to experience the true interrelationship with everything and everyone. A boundless life is living in the open field of life. Zenkei often taught that this open field could be experienced everyday through zazen or Zen practice of meditation. When we sit zazen we can see the tranquil world despite chaos present in and around our lives. The seeds of a boundless life need only be cultivated. If you try step-ladder practice, you may realize that it is a mistake. If we do not have some big, warm satisfaction in our practice, then it’s not true practice. Even though you sit trying to have the right posture and counting your breath, it may still be lifeless zazen, because you’re just following instructions; you’re not kind enough with yourself. You think that if you follow the instructions given by some teacher, then you will have good practice. But the purpose of meditation is to encourage you to be kind with yourself. Do not count your breaths just to avoid your thinking but to take the best care you can of your breathing. If you are very kind with your breathing, one breath after another, you will have a refreshed, warm feeling in your zazen. When you have a warm feeling for your body and your breath, then you can take care of your practice, and you will be fully satisfied. When you are very kind with yourself, naturally you will feel like this. Endorsed by Joan Halifax, Gil Frondsdal, Jack Kornfield, Sojun Mel Weitsman with a foreword by Norman Fischer and an introduction by Linda Ruth Cutts. For more about Zenju’s Still Breathing Zen Community please visit their website. 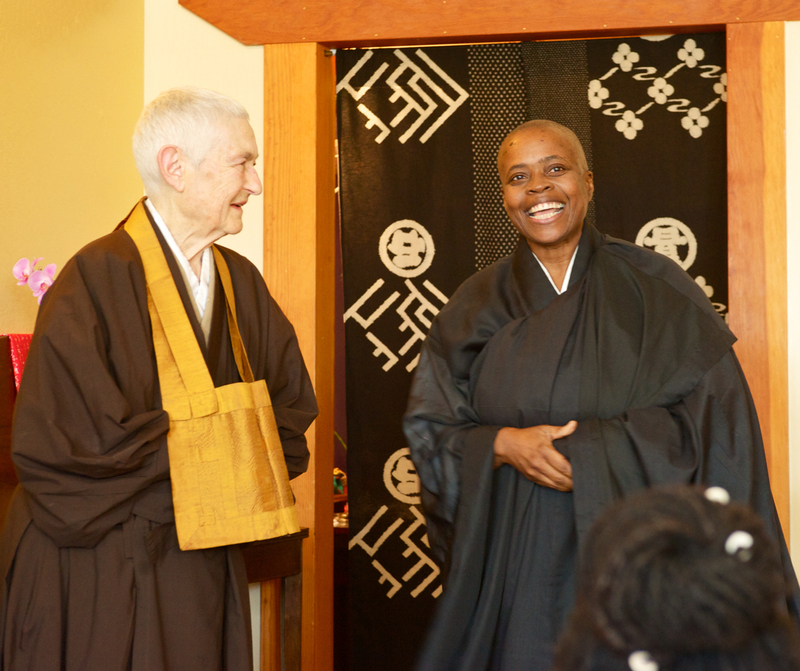 The title of this blog comes from the name of Zenkei Roshi’s upcoming book that is due out in August Seeds For a Boundless Life: Zen Teachings from the Heart. You can now pre-order a copy on Amazon (see the link) or you can also order and advanced copy from the City Center Bookstore by emailing bookstore@sfzc.org. 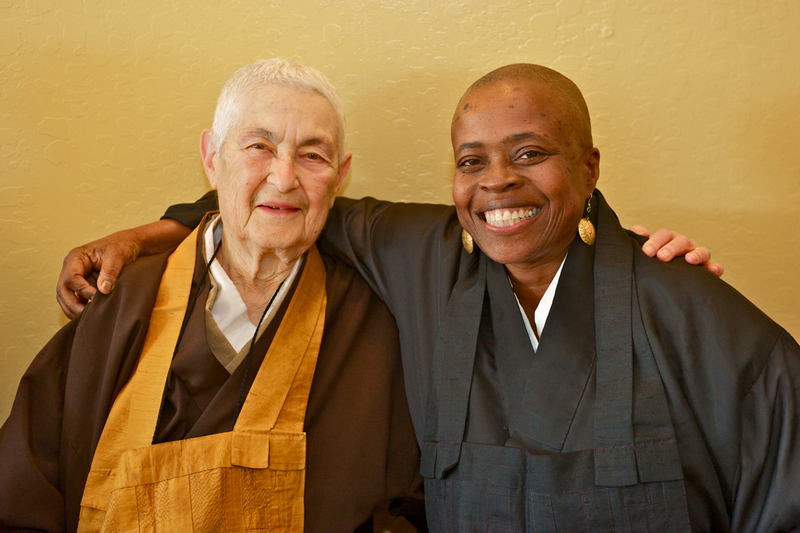 Thank you to Zenju Manuel, Blanche’s last dharma heir, for making this book a reality.